As a family Company, tinycottons was born in dec. 2012. Barb Bruno & Gerard Lazcano decided to do something different for the kids business. They built a brand with great quality products made in Europe, and treat that brand as and adults brand. Stylish but bold. 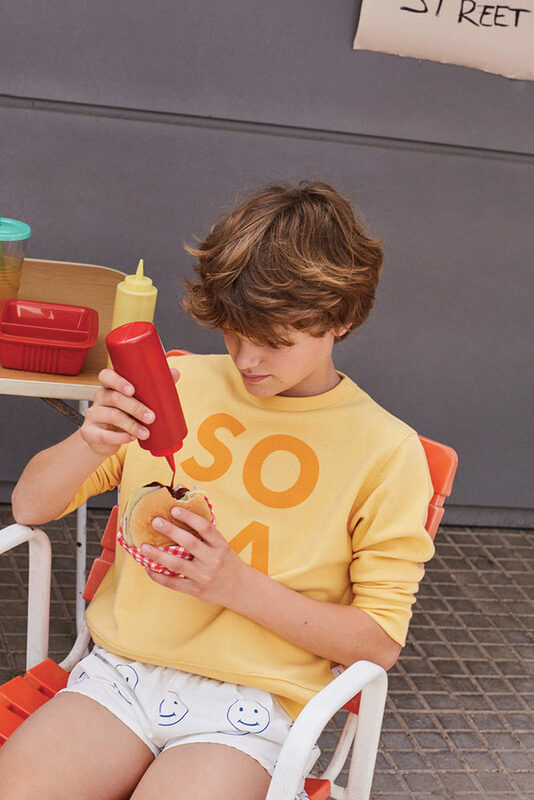 With a strong image and a story behind every collection that kids get involved with, learn something or just love a piece that they´ll remember forever. As a clothing brand, we want to create a good long lasting product, at the same time your kid´s favourite. Quality is the most important thing for us. And we don´t just apply it to our products. We also want an honest process and fair trade factories. For the non cotton fabrics we prefer recycled materials, we are eco friendly, and take care about the environment. Our aim is that every person involved in tinycottons products feels proud of it. As inspiration, being based in Barcelona makes everything easier. This city is so cosmopolitan, full of culture, art, green spaces, parks, small and big companies that empower us to make it better everyday. Books and travels are also parts of our creation process. We draw, paint, cut and glue as much as we can. We try to be free as kids minds. With their own and only bold and not so serious attitude. Every season we tell a new story and we send a strong message to share. We give sense to every piece in the collection with different prints, a special color palette, and simple shapes. Comfort is a must for us and for the kids!